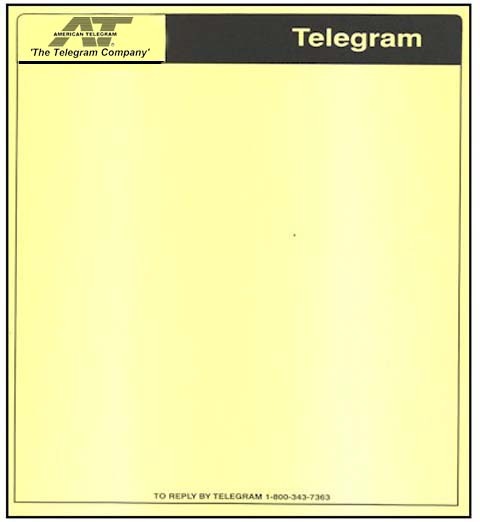 Priority service includes both a Telegram and a Cablegram. We transmit your cablegram right away to the overseas telegraph office for a fast preliminary delivery of your message, then follow up with a subsequent hand delivered telegram which is trackable requiring signature for your records. This is the best option for both speed and trackability and is commonly chosen for condolences, legal matters, and other urgent notifications. Immediately transmitted electronically to the nearest telegraph office to the destination address and typically arrive quicker than International Telegrams. Cablegrams are delivered at the discretion of the destination country's regulations and Postal Telegraph Administration, and may include postal delivery. We are not able to guarantee a delivery times for International Cablegrams. Unlike International Telegrams we cannot obtain a recipient signature, but can provide proof of transmission to the International telegraph office. If you need a signature or confirmation, choose the International Telegram option. Cablegrams are a better option when time is of the essence.